← January Poll – How Do You Choose An Athletic Shoe? DG came in today with subungual hematoma, or blood blisters, underneath the toenails from playing soccer in shoes that were too short. Soccer cleats are designed to be worn snugly, but if they are too short, pressure will build up against the nail, causing a subungual hematoma to form. In this case DG had been wearing size 10 1/2, but measured size 12 1/2 heel to ball and 11 1/2 heel to toe. 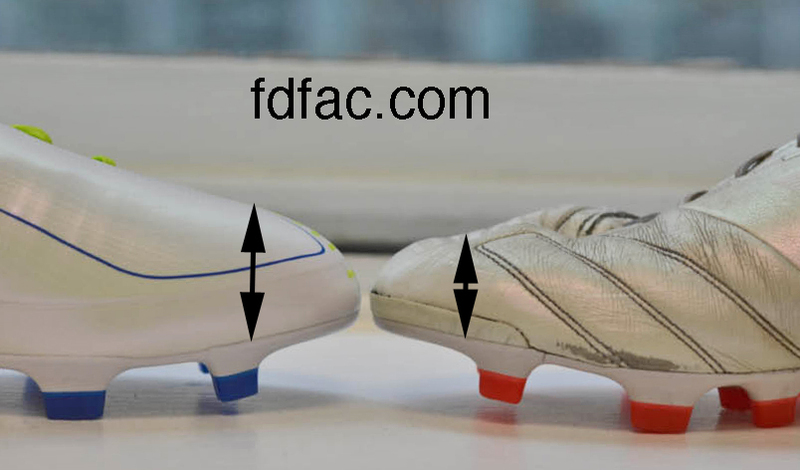 Additionally, his current soccer cleats were too shallow in the toe box, as well as too short as this image shows. If you routinely lose toenails from playing sports, you will probably need to go into a bigger size shoe. The best place to have your foot professionally measured is at a specialty running shoe store and then use that information to size your cleats accordingly. If you experience a subungual hematoma, you will want to visit a podiatrist and have your nails trimmed and thinned down.